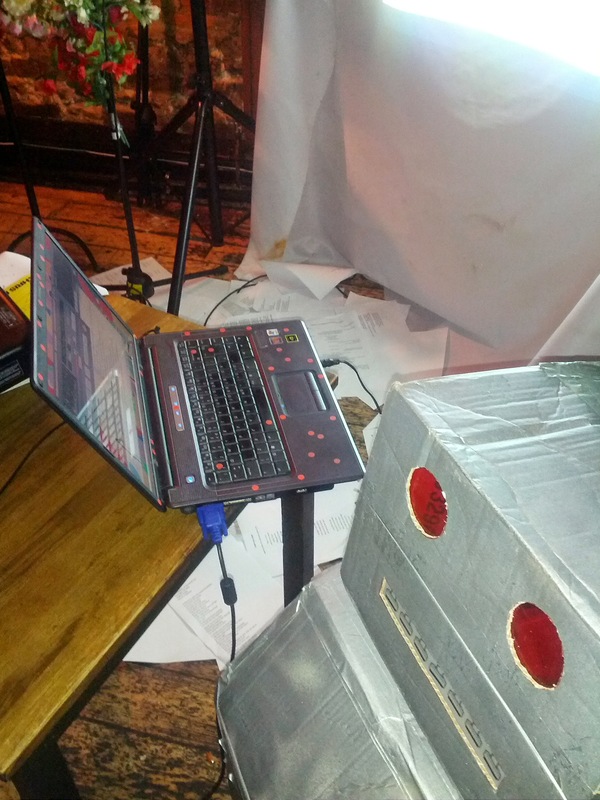 The MechaPoet had its first performance at the Brighton Fringe last week as part of Chris Parkinson’s Moonshine show. The interesting thing about any performance is that you learn a lot when a piece encounters an audience. Responses can greatly – I’ve delivered the same story to both helpless laughter and stony silence – but seeing your work in front of a group of people adds new dimensions. I’m reasonably happy with how the performance went. 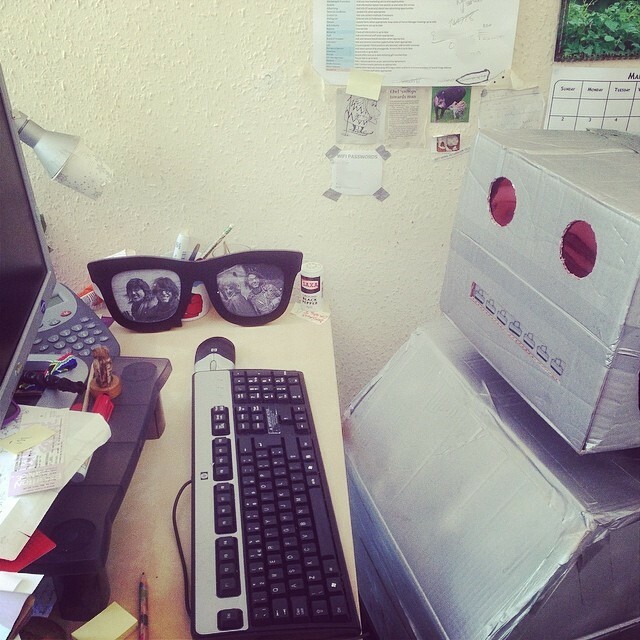 We had no technical hitches with the MechaPoet, and the audience seemed interested by it. 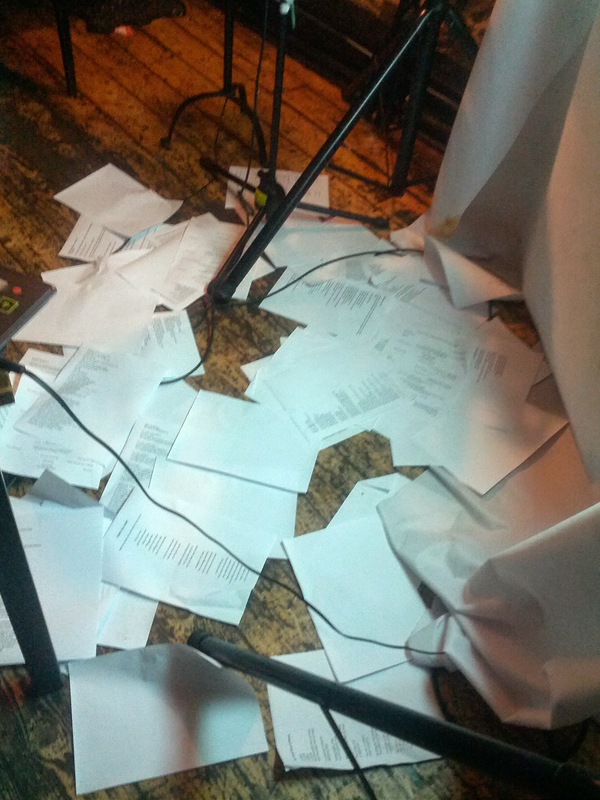 The main problem was that it slowed down the flow of Chris’s show. Chris’s work is funny and energetic, whereas the MechaPoet’s voice was a little too slow and there were just not enough funny lines. Which means an interesting weekend of hacking around with the software, trying to make it funnier. The audience laughed most at lines about actual real things, references to Brighton and the like. So I’m going to try building a simple Bayesian Classifier to filter out bad lines and find funny ones. The perfect thing to do on a weekend that’s supposed to be a heatwave. Bayesian classifiers are, basically, the tool used for a lot of spam detection. As usual, I’m using rather crude algorithms for the project. While this was part of the idea, when I spoke to a proper digital artist this week, he suggested moving away from the Markov Chains. Once I’ve got the current run of performances out of the way, I definitely want to do something more sophisticated – along with my plan for using the MechaPoet to destroy haiku. It’s amazing how much work a silly project can generate. And Chris’s show? Of course I’m going to say it was excellent. It was particularly good to see a sustained performance from Chris (outside of a timed slam that is, ha-ha). It’s sometimes hard to take in exactly how much poetry Chris has done over the years I’ve known him. The middle section of the show is a sequence of his political poems, which make an interesting retelling of the last 7-or-8 years of Westminster life. There are short films too, including the stunning Pigeon in a Pizza Box. And Unreal City is still the greatest poem ever written about Brighton. The remaining shows are on the 22nd and 29th May. Exciting news! 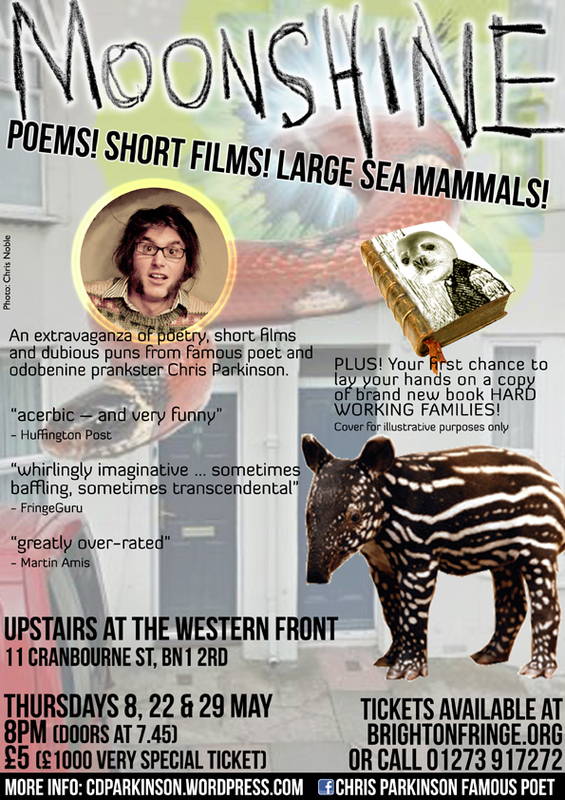 The MechaPoet’s first outing will be as part of Chris Parkinson’s solo show, Moonshine. The MechaPoet will have a short set, but I’d recommend going for the (human) poetry, short films and outright lies. Tickets are £5 each and the shows are on the 8th, 22nd and 29th of May. But don’t leave it till the last show to go see it as everyone else is planning to do that too.